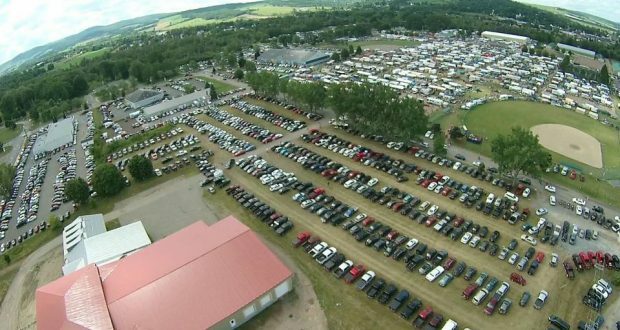 Sussex Flea Market ~ August 16th, 17th, and 18th, 2019 | NB Antique Auto Club Inc. 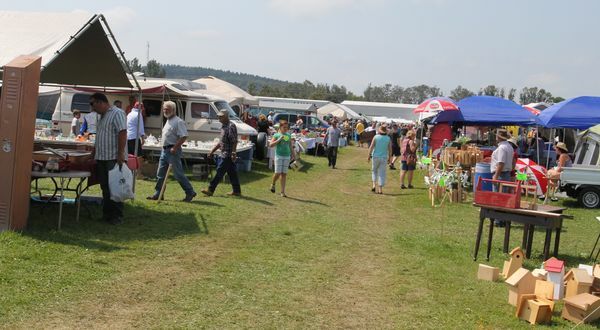 The NBAAC Flea Market is held annually, on the weekend of the third Saturday of August, in Princess Louise Park, 10 Leonard St., Sussex, N. B. E4E 2N7. 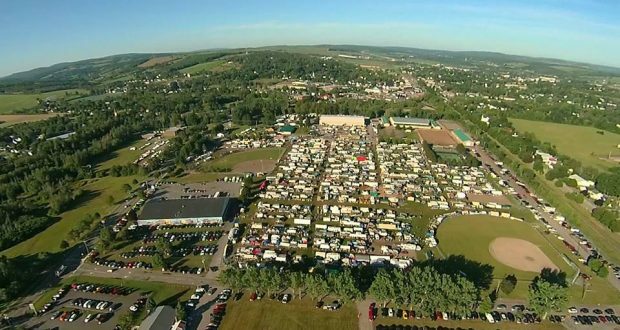 Originally organized by the club as an antique automotive flea market and car corral, the “Sussex Flea Market” has since become a 3-day provincial extravaganza with a broad range of items for sale from hundreds of vendors. Right now we have 860 sites, which are usually all filled. Admission is $5 per adult. Children 12 and under admitted free when accompanied by an adult. 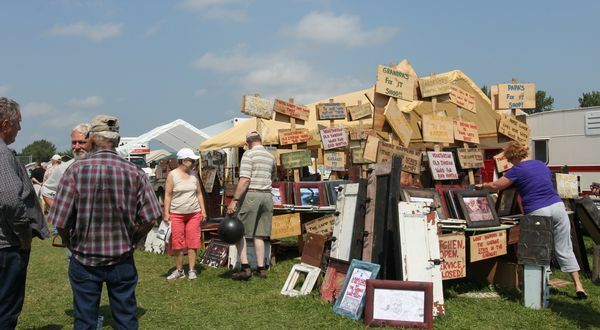 Whether you’re searching for rare collectibles, jewelry, handicrafts, household items, or just looking to spend a fun afternoon browsing through acres of bargains, you’ll find it all at the Sussex Flea Market! You’ll even find your choice of kitchen sinks! 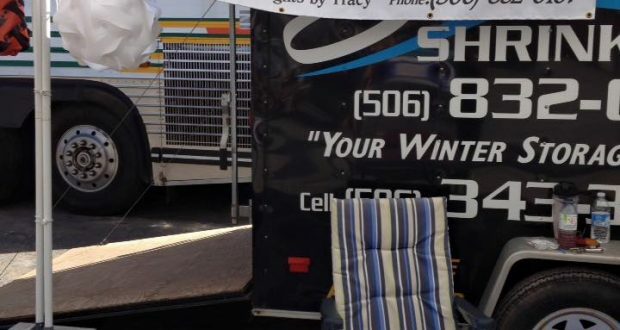 There is also an annual Show & Shine held on Sunday from 9:00 a.m. to 3:00 p.m. One entrance pass per car with a minimum donation of $5. Dash plaques are also available for participants. Bring your sunscreen, a good hat, and comfortable walking shoes, because you won’t want to miss a thing. If you are bringing others along, make arrangements to meet up at the Senior Building, just across from the food vendors, if you should happen to get separated. 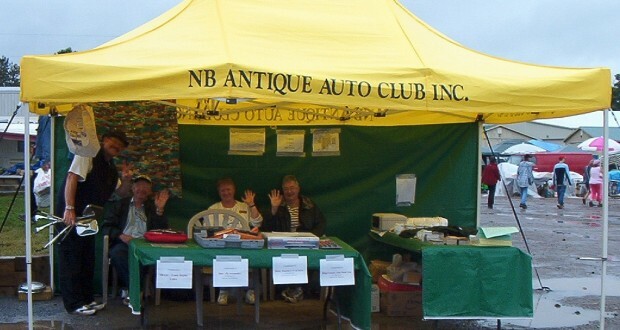 The NBAAC committee sell beautiful tote bags for a small fee of $2.00 for you to carry your treasures home with. WITH THE EXCEPTION OF SERVICE DOGS, NO PETS ALLOWED AND PLEASE DON’T LEAVE YOUR PETS IN YOUR VEHICLE WHILE YOU WALK THE FIELD. KEEP THEM AT HOME WHERE THEY’LL BE SAFE AND SECURE. No bicycles, scooters, motorized vehicles or golf carts allowed on the grounds by the public. 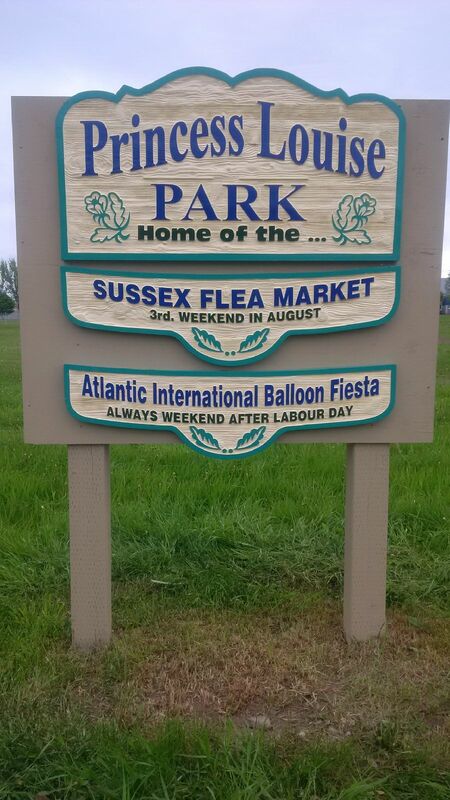 Only carts driven by NBAAC committee members, Town of Sussex workers, and security can be driven on the grounds. 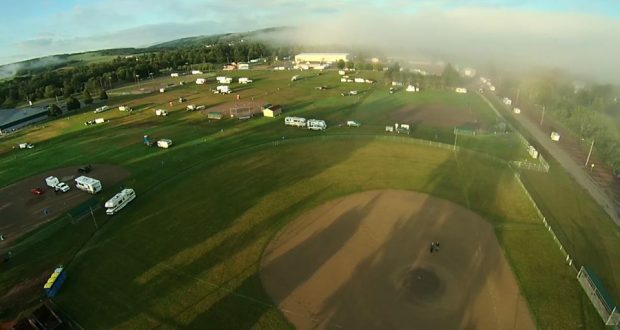 If everything goes smoothly on Wednesday, and we get the “OK” from the Town of Sussex, we will open the field for vendor entrance sometime after 4 pm. No earlier. If you will be arriving on Wednesday, please plan ahead so that you arrive in Sussex between 5 and 8 pm. It does not take long to get everyone onto the grounds. 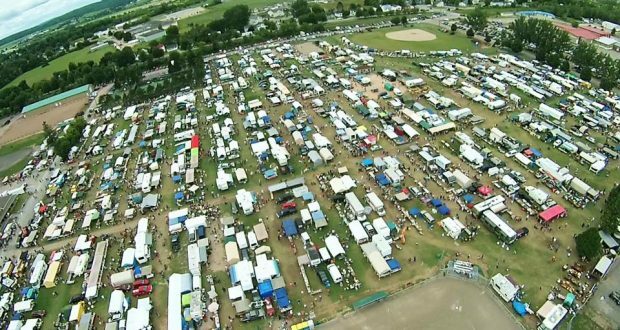 Thursday is Vendor Set Up day and you will have the whole day to set up your lot. The gates do not open to the public until Friday, so take advantage of a leisurely set-up day. The registration gate will open at 8am for vendors who will be arriving on Thursday. Please be respectful of the neighboring property owners and only park where permitted.